The new Decimator II™ and Decimator G String II™ now include a LINK IN and LINK OUT allowing two pedals to be linked via a common 1/8 inch Tip/Sleeve or Tip/Ring/Sleeve phone cord allowing both pedals noise reduction signal processing circuits to track the direct instrument input. With two Decimator II pedals linked the guitarist will get close to the same level of performance available in our professional Decimator ProRack G system in pedal form. 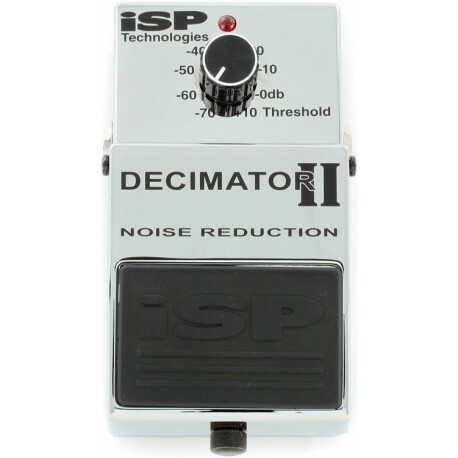 This will now allow players to use one block of Decimator between the guitar and input of the amplifier, a second in the effects loop, use dual preamps in a system with a Decimator II after each pre-amp, or implement true stereo noise reduction systems using this link connection. Using the LINK function between two pedals allows a number of options. By using a standard Decimator II between the guitar and the input of the guitar rig and a second standard Decimator II inserted into the effects loop, the player can achieve the same basic performance of the professional Decimator ProRack G. The guitarist can also use a Decimator G String II at the front end of the system and build a true stereo noise reduction system by linking a standard Decimator Il pedal. 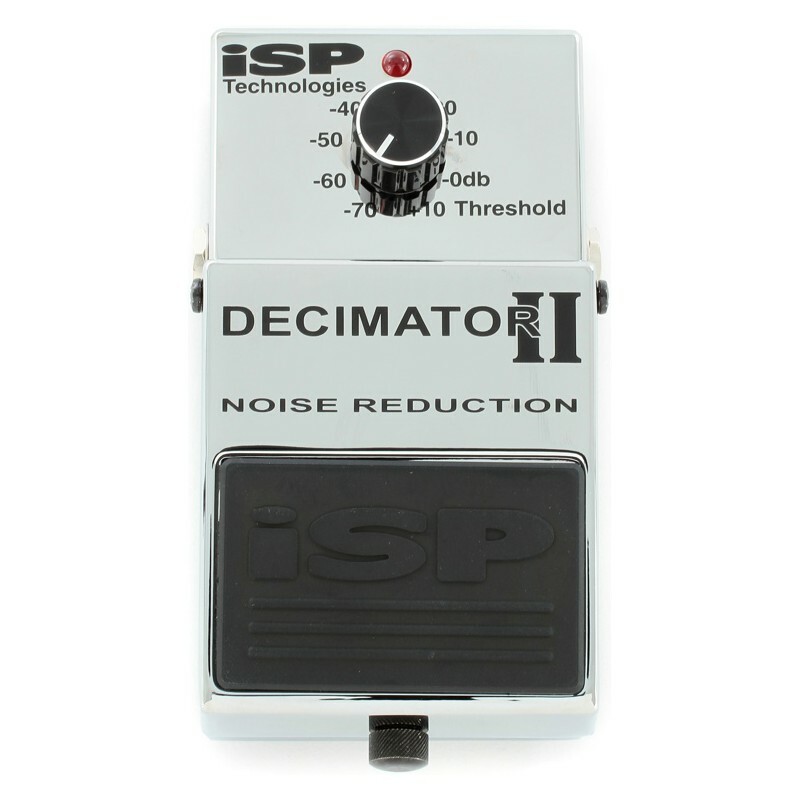 This allows two totally independent channels of Decimator Noise Reduction, with separate inputs and outputs, to be inserted after a stereo Pre-amp or connected in a stereo guitar rig.